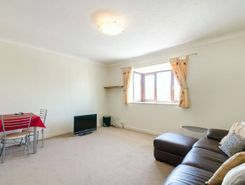 This fantastic two bedroom ground floor maisonette benefits from share of freehold and provides spacious interiors with a generous reception room, two double size bedrooms, private garden and separate garage. Set within a purpose-built block, this fantastic one bedroom flat offers bright and spacious interiors, benefiting from a smart fitted kitchen, double size bedroom and allocated off-street parking. 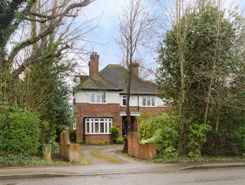 The Rectory is a beautiful and spacious detached house, set within the Southborough conservation area, boasting a superb family room, extensive South-facing garden and a lovely master bedroom with en suite bathroom. 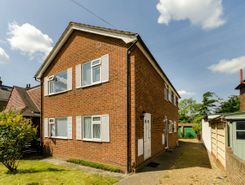 Excellently situated for access to the A3, this charming two bedroom first floor maisonette offers a well proportioned living space, a separate fitted kitchen and a private garden. Property website TheHouseShop have used their expert knowledge of the Hook in Greater London property market to help buyers, sellers, tenants and landlords save money when advertising and searching for property available online. Property marketplace, TheHouseShop.com, showcases property listings from private landlords, private sellers, high street agents, online agents and developers – meaning that tenants and buyers can find a unique selection of property from both professionals and homeowners. Sellers using TheHouseShop can choose to advertise their property themselves, or compare local and online-only agents to help sell their property for them. Hook in Greater London homeowners can save thousands by selling their home online with TheHouseShop. Selling property online is popular in Hook in Greater London and private house sales are a great option for many Hook in Greater London homeowners. Property prices in Hook in Greater London can vary significantly and pricing your property correctly can be difficult – that's why TheHouseShop offer free professional valuations from local property experts to all private sellers using the site. Homeowners can choose from a number of marketing add-ons to boost their property advert and sell or let their property faster. By using TheHouseShop marketplace to advertise property privately, landlords and sellers in Hook in Greater London are saving their time and money while still finding a great selection of potential buyers and renters. If you are selling or letting a property in Hook in Greater London, TheHouseShop is a must-see platform for both private sellers and private landlords. TheHouseShop also works with thousands of Hook in Greater London's best estate agents to help market their properties to a huge audience of motivated buyers and renters. 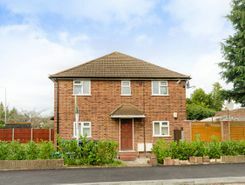 If you are looking for property for sale in Hook in Greater London, TheHouseShop has a huge selection of homes available to buy including flats, apartments, detached houses, bungalows, maisonettes, terraced houses and more. TheHouseShop is the only property website to display property listings from professionals and individuals, so you won't find their Hook in Greater London properties on websites like RightMove and Zoopla which only show estate agent listings. So don't miss out on the home of your dreams and make sure that you visit TheHouseShop.com and sign up for property alerts to keep up to date with the latest new listings. Sellers can use TheHouseShop to compare the best estate agents in Hook in Greater London and help narrow down the competition so that they choose the best agent for their property. TheHouseShop is visited by tens of thousands of buyers each day who are looking for homes for sale in Hook in Greater London and the surrounding areas. TheHouseShop specialises in the accessible property niche market and have a selection of adapted homes for sale available in Hook in Greater London. Some of the best New Homes developers in Hook in Greater London use TheHouseShop to promote their accessible listings as well as their new homes for sale. Home hunters will find a wide selection of cheap homes for sale on TheHouseShop website. Buyers can find cheap houses and new build properties available through Shared Ownership schemes in Hook in Greater London. Buyers can use TheHouseShop's online valuation tool to get a free property valuation for any home in Hook in Greater London and make sure they don't pay over the odds. Whether you want to buy, sell, rent or let property in Hook in Greater London, TheHouseShop is your one stop shop for all your property needs.